Holy Communion offered at all services. Our Regular Worship Schedule begins the Sunday following Labor Day and continues thru Memorial Day weekend. Saturday at 5 p.m. – Evening Prayer with Holy Communion. We use a variety of evening prayer services throughout the year to create a contemplative feel lead by piano and a cantor. 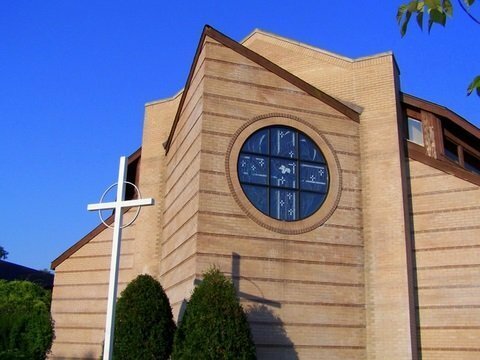 Sunday at 9:00 a.m. – Worship with Holy Communion. This service offers a variety of traditional music using organ, piano and other various instruments and is led by our Chancel Choir. Sunday School classes, for ages pre-school through fifth grade take place concurrently with the 9:00 a.m. service. 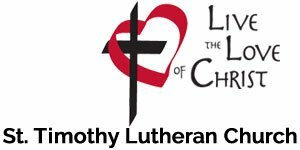 Sunday at 10:30 a.m. – Worship with Holy Communion. 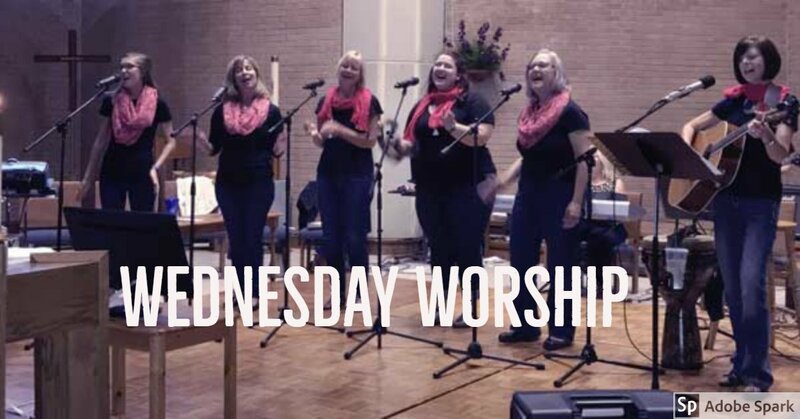 This global service offers a contemporary worship experience led by our Soul Assembly Choir. Adult Education 10:15 a.m. Classes and discussions will be held concurrent with both services. Nursery care is provided from children 3 years old and younger during all regular services. Saturday, 5 p.m. — We will be using the evening prayer liturgy, Behold Our Light, written for St. Timothy in memory of Don Carhart. We thank his family for this beautiful service. 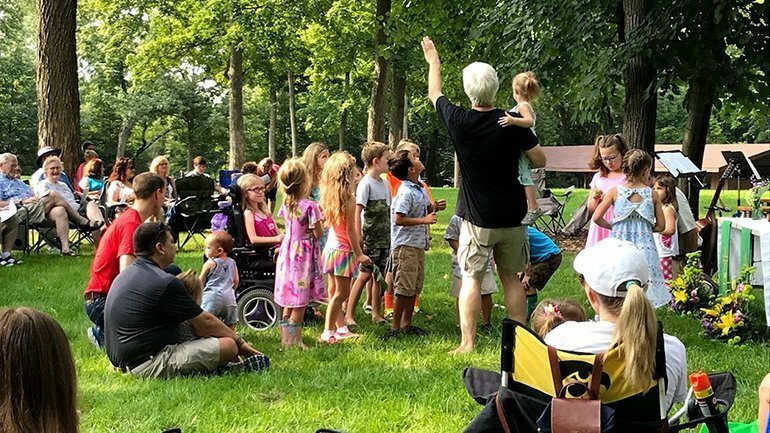 Sunday, 8 a.m. — Worship in the Woods – Burlington Park, Naperville, is the site for Sunday Worship in the Woods. Tucked into a quiet neighborhood, the site offers beautiful space. Directions to Burlington Park are below. Sunday, 9:30 a.m. — Full of praise and joy, this blended service offers passionate expressions of God’s loving presence through word, sacrament, prayer and song.